Something is rotten in the Derbyshire Dales. Across the UK many councils are now looking to charge for garden waste be it for an all year or part year service an example of which until recently is Derby UK where a part year service was £40 for garden waste to be collected April to November. The result of the Derby charge for service was a devastated recycling rate and so thankfully Derby City Council have seen sense and a free service restarts in April 2019. No sooner do we get this good news from Derby in relation to the garden waste service returning to a free service do we get the bad news from Derbyshire Dales District Council that they are proposing to INTRODUCE a charged for service claiming that they could not continue their free service to residents once they negotiate their new waste recycling contract. Now there is a key difference between the two councils because while Derby City Council is a disposal authority meaning it has to fund all of its waste and recycling Derbyshire Dales is just a district council and while it has to fund its recycling service it does not have to fund its residual waste disposal which is a key difference between the two councils. The proposal to introduce a charged for service in the Derbyshire Dales area was enthusiastically welcomed by many councillors at a council meeting in late 2018 on 29th November. 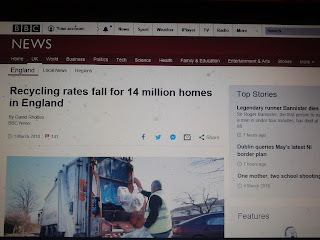 There was talk of the councils recycling rate being at 57% and recent government publications suggest it could even be as high as 60% which is an impressive recycling rate but once a charged for service for garden waste is put in place where will that rate go other than down in a spiral ? 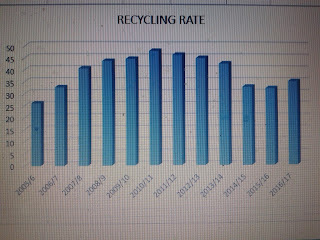 The councils recycling rate uses tonnage of recycling as the method for generating the councils recycling rate and as garden waste is a heavy material removal of that waste from the recycling stream clearly reduces the overall tonnage of recyclate and that has to then impact the councils recycling rate of which they are so proud. Then we have to consider the slight of hand that's going to take place here at Derbyshire Dales District Council when it comes to waste costs linked to recycling and disposal. Derbyshire Dales District Council is simply a district council and has to pay the cost of collecting waste and recycling waste materials but what it does NOT have to do is pay for the disposal of residual waste because that is the responsibility of Derbyshire County Council which is the disposal authority. 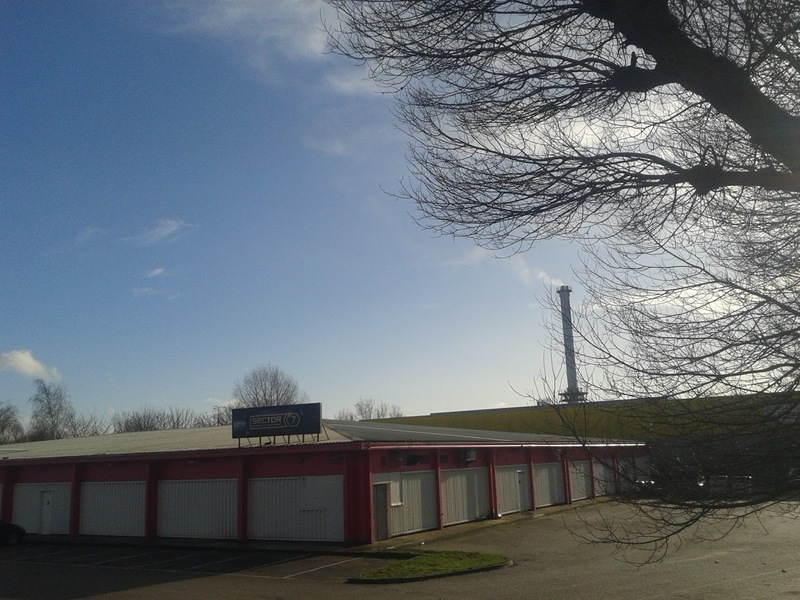 All Derbyshire Dales District Council has to do is collect and deliver residual waste to where Derbyshire County Council directs them towards which could either be directly to the controversial Sinfin waste incineration plant in Derby or to a transfer site in the county for onward shipment to Sinfin to be burnt. Now its not rocket science to realise that if your a district council looking to reduce costs if you can force waste you were previously paying to compost into the residual waste stream that you DON'T pay to dispose of and even better get people to agree to pay a charge for the waste that still does get composted then by some wonder of wonders you have saved your council money but what you are not doing is saving your residents money because by diverting compostable waste into the residual waste stream which is very commonly vastly more expensive per tonne than if composted you have transferred a cost to the disposal authority which in this case is Derbyshire County Council which in turn will have to recoup that increased cost from residents of the County via the likes of an increase in council tax. There may however be a happy ending to this story! In recent days the UK government have announced proposals that they will require councils to offer a free garden waste service so the plans of Derbyshire Dales District Council may still be consigned to the compost heap! No wonder we are drowning in plastic! As 2019 dawns after all the media coverage of the plastic issue in 2018 then we all must look at the waste we produce - only then will we understand what needs to change. 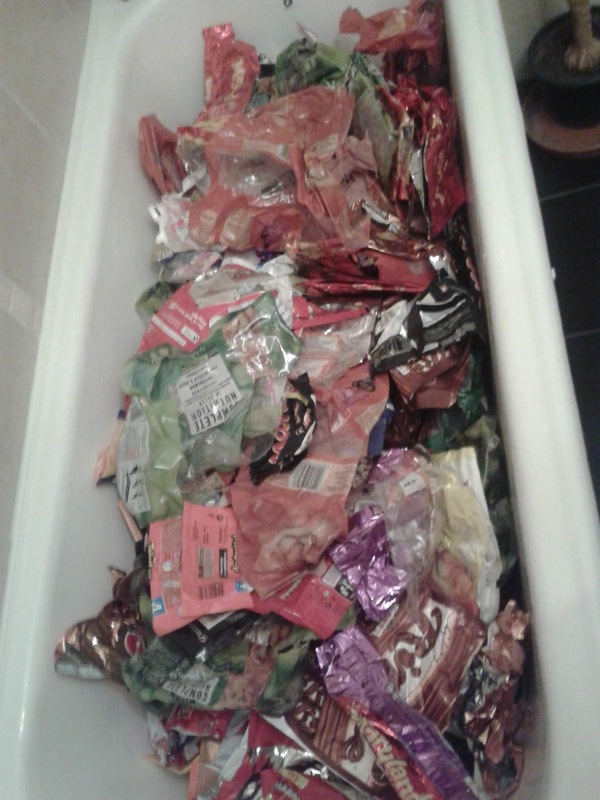 As luck would have it back in January 2018 seeing all the plastic film I appeared to generate that couldn't be recycled I decided to collect all of this plastic over the period of the year - limiting it mainly to outer wrappers on many products which either showed no recycling information or claimed the material could not currently be recycled. 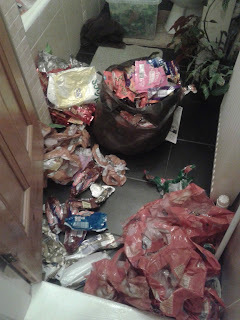 As 2019 then dawned how much waste material had I gathered from myself and my family of cats? ALMOST A BATH TUB FULL ! 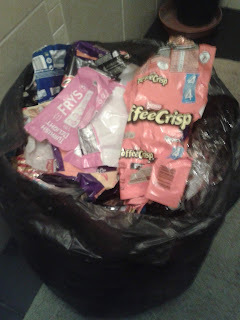 A blend mainly of chocolate bar outers, biscuit packs, oven chip packaging and cat food outers along with some clear vegetable packaging I was struck by a few things. Firstly I eat to much chocolate - but then really I always knew that but more importantly how little of this material is recyclable - or even marked with any recycling information. Sorting through the waste was quite an insight - if it was a chocolate bar outer it almost always carried no recycling information. How could it be that in 2018 such big name producers of chocolate products as Nestle, Cadbury and Mars could get away with this? There was one or two glimmers of hope as it became clear some of the waste - some biscuit wrappers and chocolate bar wrappers marketed by the likes of Mcvities could potentially be recycled if they were sent to a business called Terracycle - which specialises in recycling hard to recycle products which cannot be recycled at the kerbside - but even with Terracycle it is not an ideal situation to have to create waste to recycle waste - by shipping waste back to Terracycle. This then also left me with a collection of rather stretchy plastic film packaging that looked very much like LDPE plastic - but even though it LOOKED like it once again the packaging either said nothing about recyclability or stated it wasn't currently recycled. Much of this waste was found to be Sainsburys home brand products - all stretchy plastics but all claiming not currently recycled. It was time to investigate - and I didn't have to look far to be able to confirm that yes that stretchy plastic that kind of looked like LDPE plastic WAS LDPE plastic - and so could actually be recycled at supermarket carrier bag recycling points. But why market products in your stores which CAN be recycled and then not show this on the packaging? Other big brand similar products also displaying either questionable recycling information or no information marketed by McCains (oven chips), Aunt Bessies (oven chips) and Butchers Pet Care (outer cling wrap on multi pack cat food) have all now been confirmed by the manufacturers as also being LDPE so yet more waste I thought was not recyclable will be going to a supermarket recycling point soon - lets empty the bath! But just like a bath tub there is an issue with recycling plastic film that's left me feeling a bit drained! A number of waste management companies now claim that there is no market for plastic film - even if collected for recycling. How can we be in a position where it is considered better to make plastic film from new raw materials than to recycle waste plastic back into new replacement products? Then we wonder why so much waste goes to landfill and incineration! The brown bin charge is dead! Long live free recycling! The brown bin recycling charge has been binned in the city of Derby UK! The Conservative council which was voted into power in the May local election put forward in their election manifesto a return to a free collection. Prior to this the poor residents of the city had to pay £40 for the service which didn't even last all year! Back in 2012/13 the council collected almost 20,000 tonnes of garden and food waste which was sent for in vessel composting outside of the city via a free service. Fast forward to 2017/18 and that tonnage had shrunk to less that 4,400 tonnes of waste composted which was clearly linked to not just the £40 charge but also the fact food waste was no longer accepted and the service was restricted to specific 32 weeks of the year. 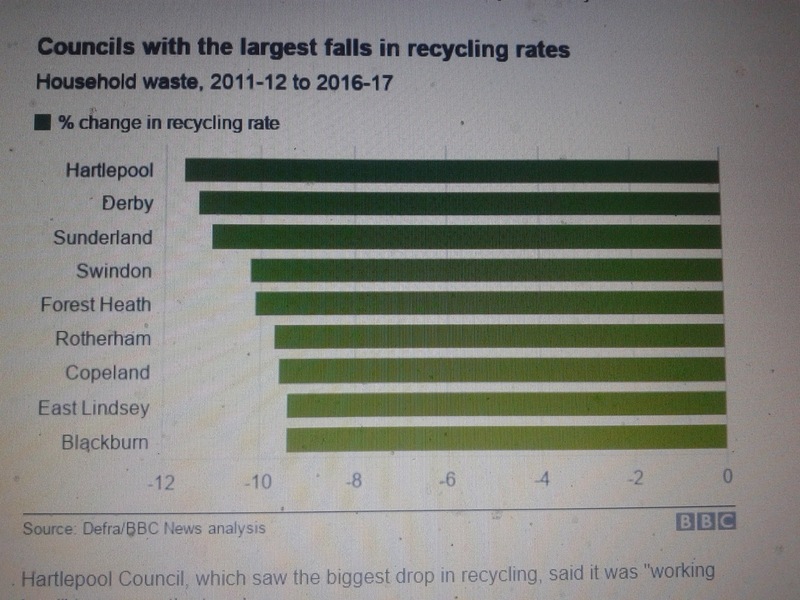 The charge had devastated the recycling rate at Derby City Council and it is now hoped this will help recycling turn a corner in the city. The return of food waste collections in with the garden waste collection over the full 52 week year takes us back in a positive direction which was previously removed because food waste cannot be processed in a charged for service due to government regulation. Recent residual waste surveys carried out in the city by the council identified that a massive 44% of waste gathered in the cities residual waste bins was garden and food waste. In 2017/18 the city paid just £31.53 per tonne for its garden waste to be composted in an in vessel process at Ashbourne in Derbyshire. a difference of around £60. 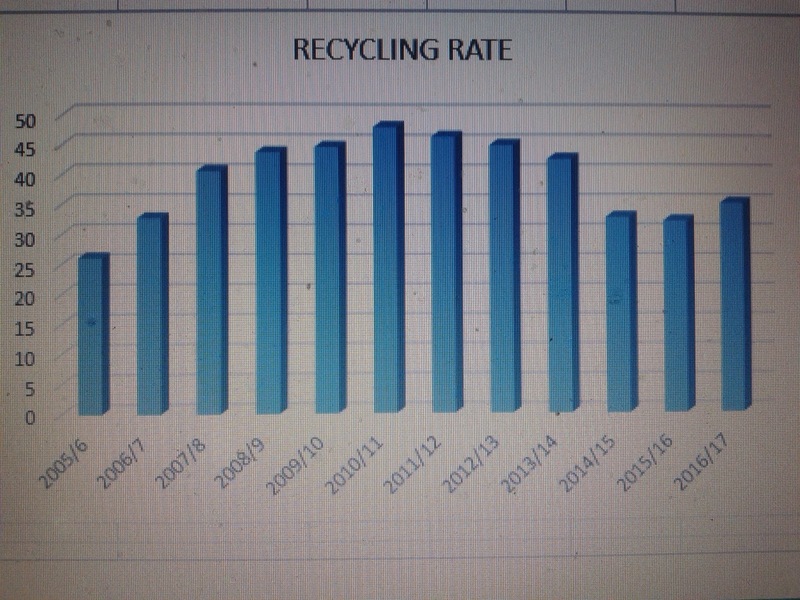 A return to a recycling rate of 20,000 tonnes could save the council over £900,000 per year! the council could save a great deal more if it diverted the 44% of compostable garden and food waste from the residual waste bin into the brown composting bin. Well it could but there is a catch ! 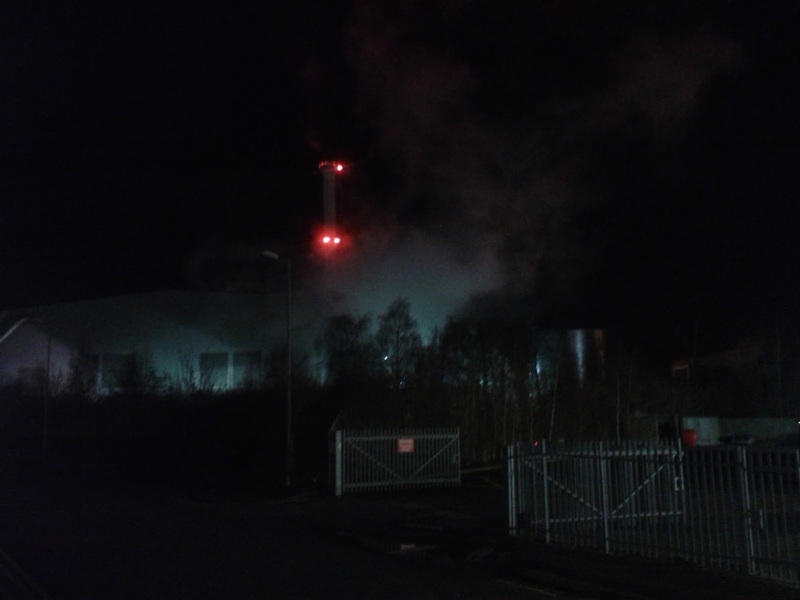 Currently the residual waste is sent to be burnt in a D10 disposal gasification incineration plant in Sinfin, Derby. The council is paying a set fee of £25 million towards the plants construction - which is hopelessly behind schedule. The less waste that the council sends to that plant the more per tonne fee that becomes when you add the cost to the per tonne charge the council will pay. 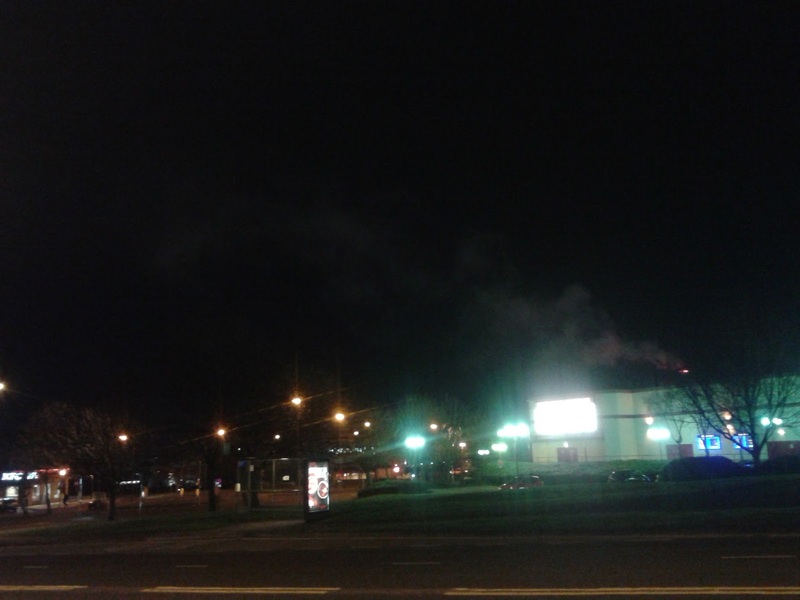 The council has contractually agreed to send waste of specific characteristics to be burnt in Sinfin and that includes an agreement to supply waste of a minimum biodegradable content - along with other specific requirements. The following statement from the brown bin cabinet document shows how the incineration plant contract has its claws into the garden waste recycling project. Any reduction in biodegradable content sent by the council to the Sinfin Lane plant in Derby will be looked on in a bad way by the operator of the residual waste contract - Resource Recovery Solutions (Derbyshire) or as we know them RRS because in a twist they have been awarded ROCs - Renewable Obligation Certificates for electricity generated from the burning of the biodegradable waste - ROCs have a value and RRS will be able to bank them! Paying a government bung for burning such waste in an inefficient disposal plant basically rewards FAILURE! 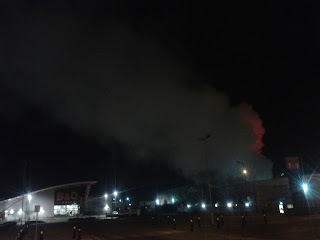 BURNING COMPOSTABLE WASTE IS ROTTEN! People who say it is good to burn compostable waste as it creates renewable energy are talking rot ! In the city of Derby UK a waste gasification incineration plant is under construction and one of the driving forces behind the development are government bungs known as ROCs for energy generated by burning biodegradable waste. Judging by the amount of odour complaints about the plant before the plant is fully operational there is certainly something rotten about the proposal. The council in Derby changed to a Conservative administration in May 2018 and part of their electioneering was to state they would return to a free garden waste collection service - after the previous Labour council removed the free garden and food waste service which had run all year and replaced it with a charged for service (£40) for a garden waste only part year service. With the prospect of a return to a free service brings with it the ability to also accept food waste in the cities brown bin recycling scheme. Ever since the free collection was removed the council still continued to send garden waste to Vital Earth at Ashbourne in Derbyshire which runs an in vessel composting process which produces a sterile product from garden and food waste. The key point here however is that when there was a charged for service the council could not collect food waste in the same recycling bin because it would be considered that the council was also charging for food waste collections - which is not legal under government regulations on waste disposal. 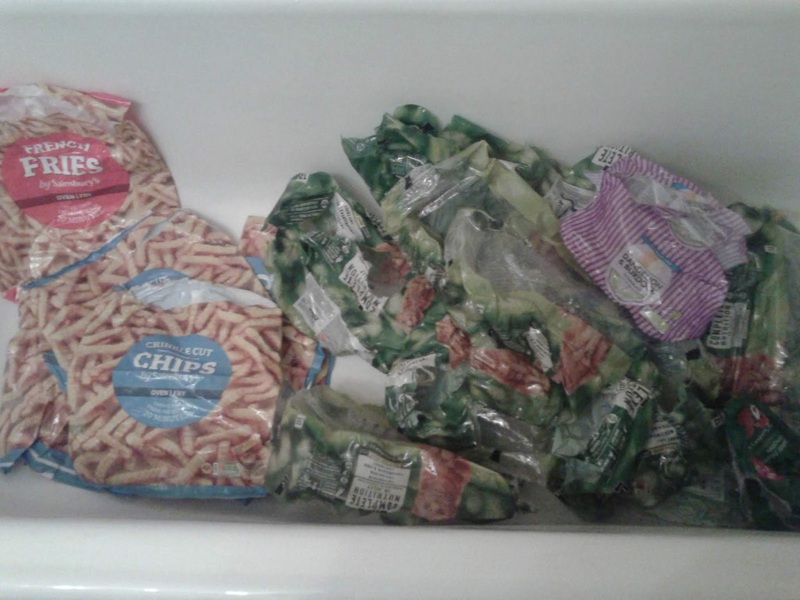 Common sense should say that the food waste was an extra to the charged for garden service - which could have been seen as good as it would have diverted biodegradable waste from landfill and incineration but here at the Rubbish Blog we don't set government regulation. The public of Derby will now be expecting the election pledge by the now Conservative council in the city to be put in place as soon as possible and there is talk of this happening in 2019 however little evidence of this proposal is currently in the public domain. Residual waste inspections carried out in the city in Summer 2017 have led to a better understanding of what is the composition of the waste Derby residents place in their black residual waste bins. What we know is that around 44% of the waste heading to the Sinfin waste incineration plant is a mix of garden and food waste. So what is likely sinking in with Derby City Council is that there is 44% of their waste being shipped to be burnt in Sinfin which could potentially be processed a lot cheaper at Vital Earth in Ashbourne where the councils garden waste was composted in 2017/18 for just £31.53 per tonne after the council got a generous rebate of £10 per tonne of waste shipped to the site. 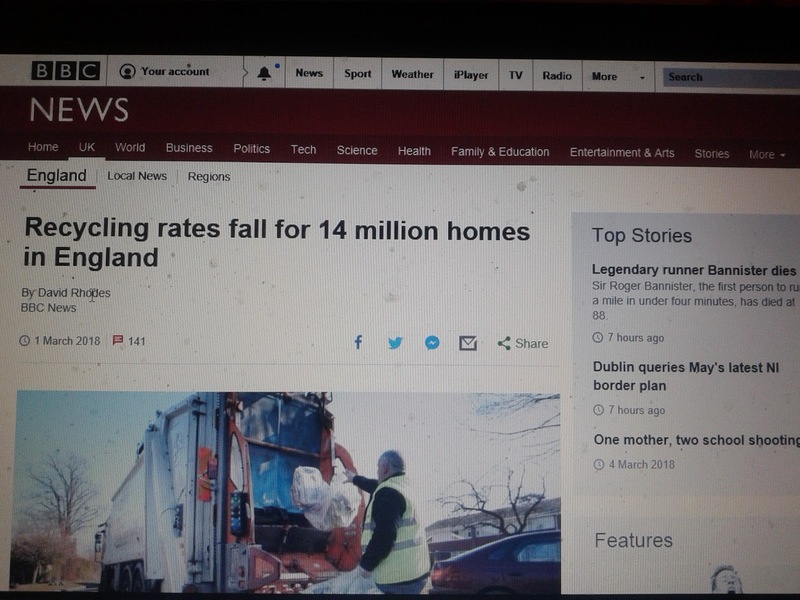 But how can the council make use of this cheap service - which would also boost the cities recycling rate by a vast amount when they are contractually required to feed the Sinfin waste incineration plant? They are not only required in the contract to procure waste of specific characteristics, organic content, moisture content etc but also when investing a lump sum of £25 million into the project the lower the amount of waste sent to Sinfin the higher the per tonne cost the council faces when we divide the payment by tonnage sent which then undermines the councils business case. Almost ten years down the line with the incineration plant still not handed over not only does the plant itself stink but so does the project the council has signed up to.